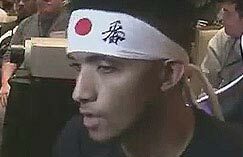 At the conclusion of Capcom Cup 2018, we got the reveal that Kage would be joining the roster as Season 4's first DLC character. Evidently, Capcom was doing things differently for Street Fighter 5: Arcade Edition this year as they had announced the entire DLC lineup for Season 3 as they were all part of that year's Season Pass. In fact, Season 1, Season 2, and Season 3 all had passes where you could pre-purchase all six characters and be ready to download them when they were released. Oddly, no such season pass was announced for whatever Kage was the beginning of. Capcom has announced that Kage can only be purchased individually with Fight Money or real currency. There are currently no plans to offer a Season Pass for the 2019 DLC characters. One of our five takeaways of the Season 4 update is that they are "doing things differently" this year. Evidently, this must be the meaning behind those words. The previous three seasons of Street Fighter 5: Arcade Edition have given us six brand new characters each. With the announcement that Season 4 won't have a bundle of some sort, it is now being speculated that there will be a different number of available characters for this season. There's no point in waiting for a season pass at this point. The only way to obtain him currently is with $5.99 or with 100,000 Fight Money. Previously, Capcom has commented that support for Street Fighter 5 is planned until at least 2020. 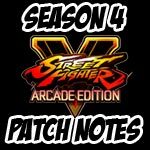 It's very possible that season 4 might be the final season for Street Fighter 5. At the very least, there appears to be at least one more character to be announced for 2019 as Capcom referred to Season 4 in the tweet as "2019 DLC characters." 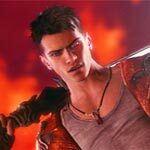 We'll just have to wait for more announcements to understand what Capcom has in store for us this year and the next.